Almond is good for blood pressure. According to research in the journal of radical, it is found that by regular eating almonds the alpha tokofaraul quantity in blood increases which are useful to maintain anyone blood pressure. In research it also come forward that eating almond regularly can help in bringing down the blood pressure. This is more beneficial for the person from 30-70 years of age. According to report published in journal of Nutrition, almond is powerful antioxidant agent that helps in stopping the growth of LDL Cholesterol. This quality of almond helps keep healthy and saves full heart arteries and oxidetive stress. 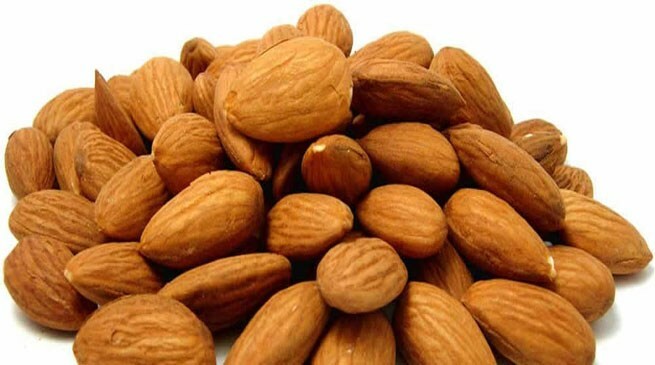 If you are suffering from any heart disease then include wet almonds in your diet. According to the recent research the persons who eat regularly almonds live long. The research done under new England journal of medicine says that those people get more benefit that chew and eat almond. However British heart foundation claimed that to prove the relation between peanuts and long age more research has to be done. The American team has keep their eyes on 1,20,000 people for 30 years. at least death percent has reduced up to 20 percent among the people who regularly eating almond.